Looking for great deals on Loveseat Sales? Visit the nearest My Rooms Furniture Gallery location or shop our online store's featured loveseats below. My Rooms Furniture Gallery offers Love Seats in the Kylee collection by Ashley furniture. This loveseat comes in the teal / aqua color show as well as a yellow color called Goldenrod. Matching sofa sets are available for this collection. Purchase your Levon-Charcoal Loveseat at My Rooms Furniture Gallery today! Purchase in person at a My Rooms showroom or online! The contemporary Perspectives Loveseat has clean lines, rounded curves, and an eye-catching wood base and tapered feet. Make it yours with hundreds of custom fabric, leather, and finish options. For the best deals on loveseat sales call My Rooms Furniture Gallery today at 800.338.8534! Light charcoal loveseat with bronze embellishments along each arm and dark charcoal legs. A classic wing design takes the form of a modernized settee in this lovely piece from the Paula Deen Home collection. It features deep button tufting, tall tapered legs, simple set-back sock arms, and a bench seat with Paula's exclusive Down Blend cushion. 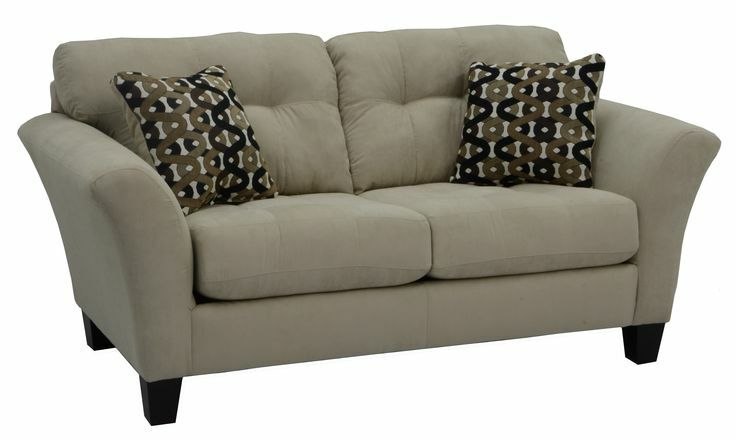 This comfy settee will make itself right at home in your living room, hallway, foyer, or bedroom. My Rooms Furniture Gallery offers today's best deals on Duck Dynasty Camo furniture sales by Catnapper. This Trapper reclining loveseat is ideal for any man cave, cabin, or lodge. Visit one of our furniture store locations or purchase online. Also available in color: "Doe"
The Catnapper Nolan reclining loveseat is very large and features a center console.